This post briefly describes how to configure a phone installed with Android 7 to only use WiFi for backing up and synchronizing Photos and Videos via the Google Photos. 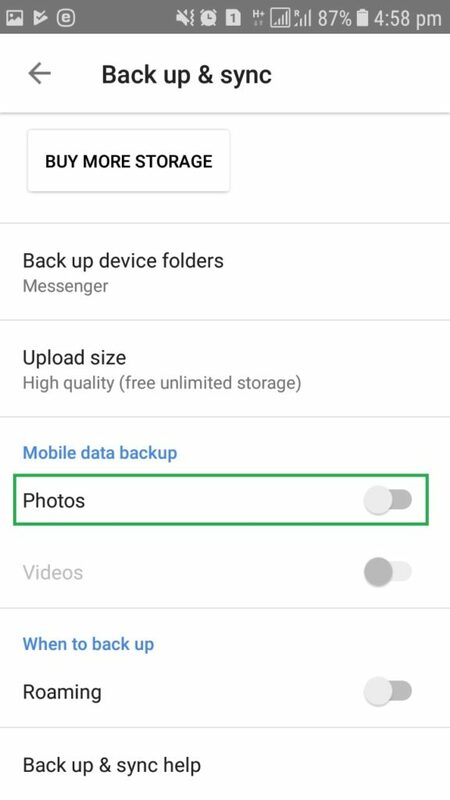 Go to Google Photos -> Settings -> Backup & sync -> Mobile data backup. 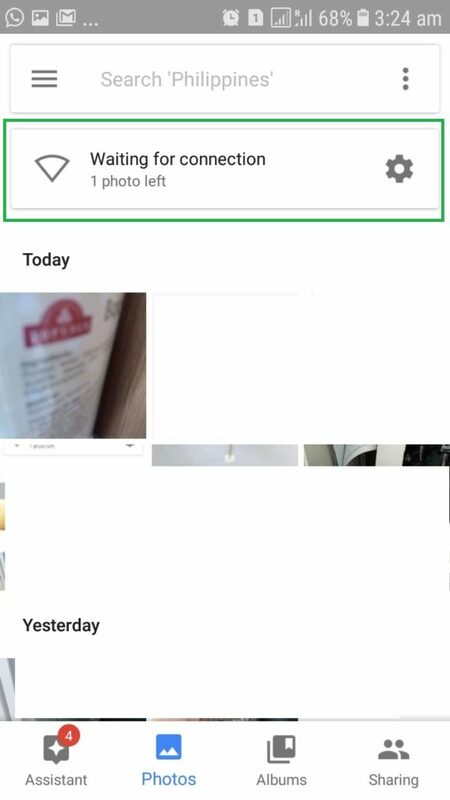 When we open Google Photos, we will see the “Waiting for connection” message.